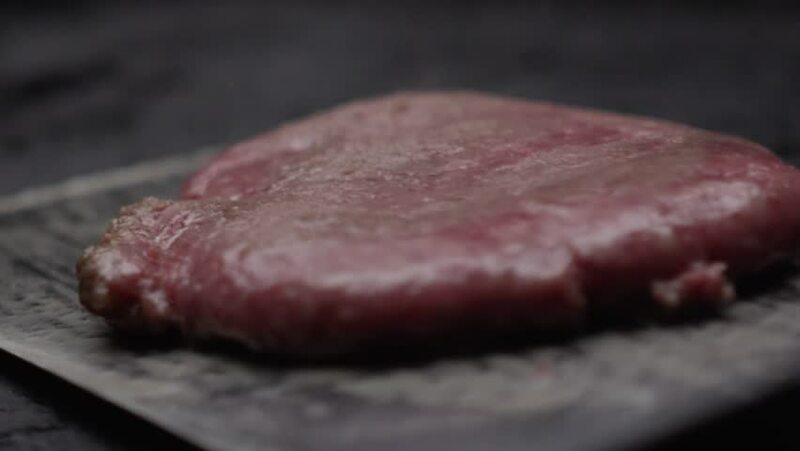 hd00:15Closeup amazing slow motion of organic sirloin beef pork patty for hamburger cooked on hot grill. 4k00:18Close up slow motion shot of chef pouring salt on raw beef cutlet for burger on electric commercial grill. Food industry, fast food and unhealthy lifestyle concept.